Here's a behind the scenes look into a project I've been working on for the past few months. 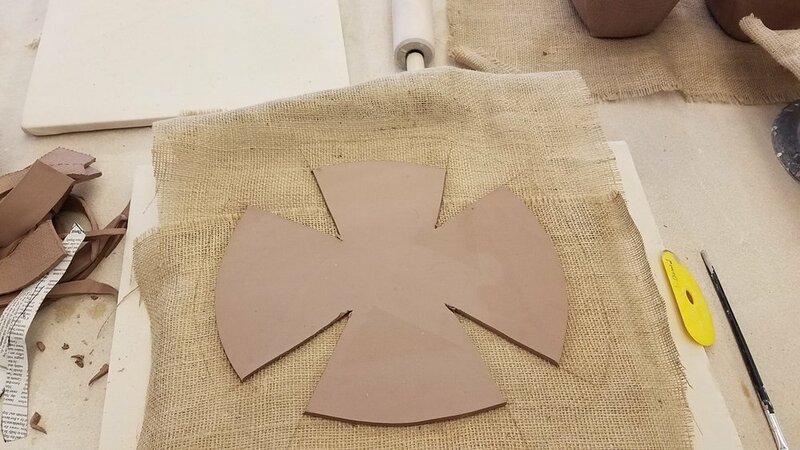 I'm currently working on pottery for several Jackson area restaurants (more updates to come!) the latest one is the Wild Sage located in the Rusty Parrot. 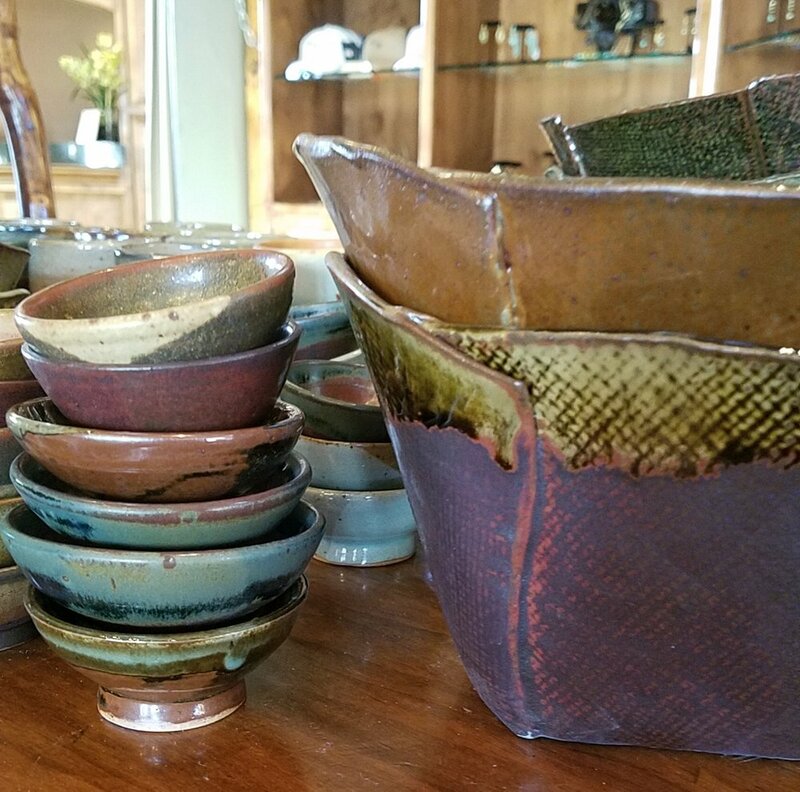 Last fall, Chef Travis Catanzaro contacted me to discuss new pottery designs for the restaurant. Since then I've been making sauce bowls, pitchers, ramekins and bread baskets with a stoneware, earth-tone inspired palette. One of these forms, the bread basket, is intended to replace the metal woven baskets they have been using. 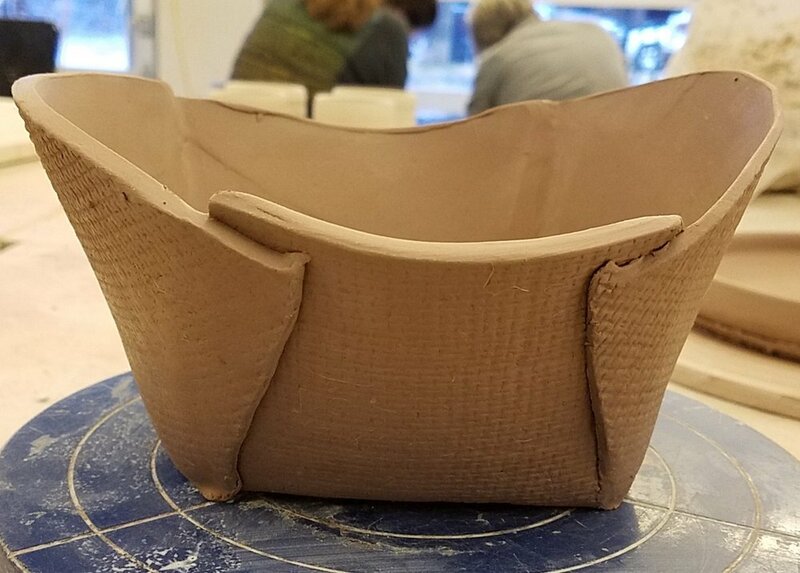 After measuring the existing baskets, my first thought was to find a form that I could slump the clay over. I wasn't terribly excited about the simple oval form that would be created, so I took some time to think. 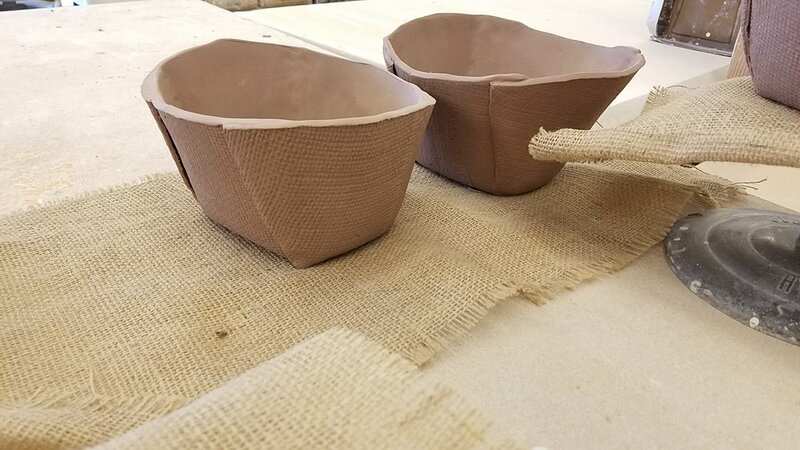 Amazingly, when I sent Travis a photo of the prototype basket, he told me about a bread dough that is wrapped in fabric with texture similar to burlap, the process then transfers the texture to the bread! These ramekins are a new form for me as well. As an extra challenge I had to find an oven safe clay that could survive the thermal shock delivered from the oven. The dishes are wheel thrown and then slightly pressed on the sides to create the oval shape. When glazing I used 6 glazes in a variety of combinations- you can see by my notes (on the left) how I had to make a plan to keep things organized. So if you are in Jackson, be sure to stop by the Wild Sage for dinner. I know I can't wait to see these pieces in action!